Is It Okay to Stop Cholesterol-Lowering Medications? Should You Stop Medications That Lower Your Cholesterol? If you stop medications to lower your cholesterol, does that hurt you? Cholesterol-lowering drugs have benefits, but they also come with a few side effects, as do most medications. This may lead you to wonder if it's worth it. In other cases, you may have been taking cholesterol medication for a year or longer. Your doctor says your blood levels are perfect and you feel fine. Is staying on your drug regimen really necessary? Even with a perfect diet and regular exercise, many people still require medication to keep their cholesterol levels in check and prevent the risk of a heart attack or stroke. Once the medication is stopped, cholesterol may return to unhealthy levels, raising the risk of developing coronary heart disease. As many as 70 percent of individuals with high cholesterol have a genetic predisposition to heart disease, even if they do not have other related risk factors. These individuals may never be able to get their cholesterol to a healthy level without medication, even with a low-fat diet and regular physical activity. Individuals sometimes develop unpleasant side effects when taking cholesterol medication, such as severe blushing or muscle cramps. If this happens, contact your healthcare provider right away. These side effects occasionally signal a potentially dangerous condition. In most cases, switching to a different medication, or changing the way you take the one you're on, can reduce or eliminate side effects. Medication expense can be another deterrent. Often, individuals who take cholesterol medication are also taking several other pills on a daily basis to manage conditions such as high blood pressure or diabetes. The cost of multiple medications can quickly add up. This may tempt some individuals to stop taking prescriptions that seem less important. Again, talk to your doctor. In many cases, generic medications can be prescribed and these are generally much less expensive. Even individuals with the best intentions can get tired of taking multiple medications year after year. Others may wish to switch from prescription drugs to more natural remedies, such as fiber supplements. While alternative remedies are not well studied, some may be reasonable choices for some people. If you're interested in one of these options, or if you're contemplating stopping or changing your medication, be sure to speak with your doctor first. Some conditions simply cannot be managed effectively without a prescription. Studies suggest that cholesterol-lowering medications can reduce your chance of a fatal heart attack or stroke by 13 percent. If you have diligently managed to lower your cholesterol levels, but then choose to stop taking your medicine, all those years of hard work may be effectively erased. If your cholesterol levels creep back up, you will once again be at higher risk of developing a heart attack or stroke. It will be as though you had never even taken any cholesterol medication. Cholesterol levels must stay low to protect against heart disease. Even if cholesterol levels are already normal, statin medications – which inhibit the production of cholesterol in the liver – decrease the risk of heart attack or stroke for people with other risk factors. These include high blood pressure or a prior heart attack or stroke. 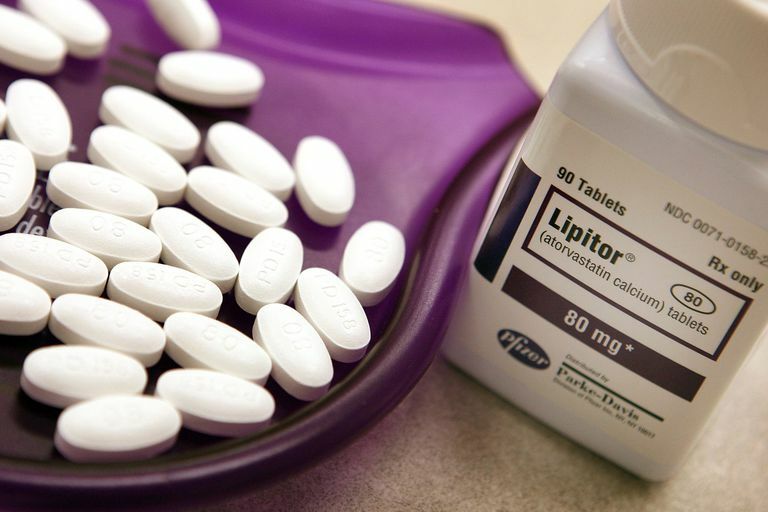 In addition to lowering cholesterol levels, statins also help to make plaque deposits more fibrous and less fatty. This stabilizes plaques so they are less likely to break off from arterial walls and travel through the bloodstream, where they can cause a blockage in the heart or brain that can result in a heart attack or stroke. Although herbal or natural remedies might lower cholesterol, they may not provide this same level of protection as prescription statin medications. If you consistently take your cholesterol medication daily and your cholesterol levels are low, keep up the good work. Know that you are taking good care of your body. More importantly, if you have questions about your medications, be sure to ask your doctor. Doing so will help you develop a good understanding of exactly why each prescription is important for you. Rosensen RS, Freeman MW. Patient Education: High Cholesterol Treatment Options (Beyond the Basics). UpToDate. 2017. Turchin A. Continued Statin Prescriptions After Adverse Reactions and Patient Outcomes: A Cohort Study. Annals of Internal Medicine. 2017;167(4):221–227. doi: 10.7326/M16-0838. Is It OK to Cut Cholesterol-Lowering Pills Like Crestor in Half?